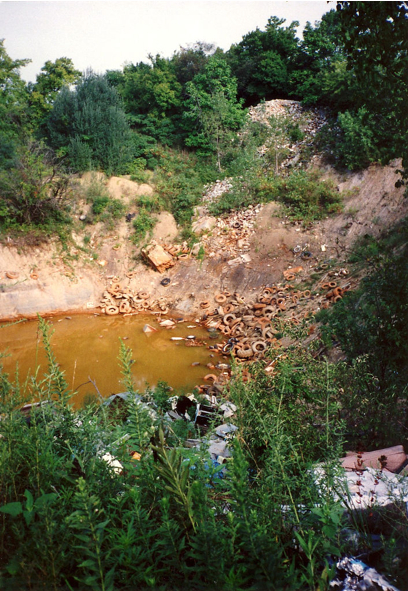 Years of lead and zinc mining turned the town into a superfund site with sinkholes, lead-laced mountains of rock, and tainted water. I found this 2nd photograph of the sinkhole on Flickr, taken in 1995.. 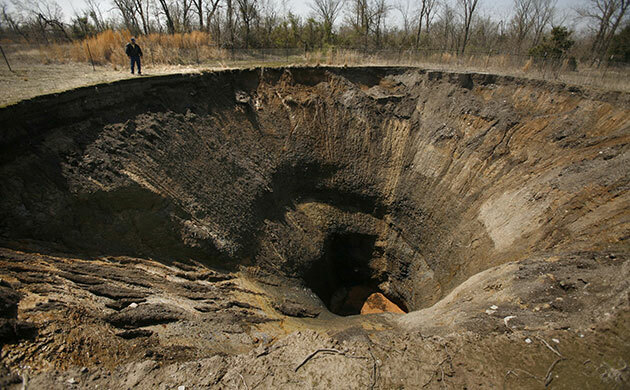 This entry was posted in Pictures and tagged Oklahoma, Picher, sinkhole. Bookmark the permalink.